Seventeen young Angolan activists were charged in court with rebellion against the state on Monday, a case rights groups said showed increasing intolerance of dissent. The young campaigners were detained in June after organising a reading of U.S. academic Gene Sharp’s 1993 book: “From Dictatorship to Democracy: A Conceptual Framework for Liberation”. The book’s blurb describes it as: “a blueprint for nonviolent resistance to repressive regimes”. Charges against them read out in court included acts of rebellion, planning mass action of civil disobedience in the capital Luanda and producing fake passports. Their defence lawyer told the hearing his clients were not guilty of any crime because debate and freedom of speech were protected under the constitution. Human rights groups have accused Angola’s President Jose Eduardo dos Santos and his government of using the legal system to crack down on critics after several activists were jailed or detained this year on charges of crimes against the state. “The continued detention of the … activists amounts to a travesty of justice,” said Muleya Mwananyanda, Amnesty International’s Deputy Director for Southern Africa. There was no immediate comment from the government but, in a rare response to critics in September, ministry of justice official António Bento Bembe said Angola needed to restore trust in its courts by improving transparency. Dos Santos has led Angola for 36 years, maintained peace since the end of civil war in 2002 and overseen rapid economic growth. But his opponents say he uses a well-funded military and patronage from oil sales to keep a grip on power. A halving of oil prices last year has piled hardships on Angolans as the kwanza currency plummeted and government slashed public spending in one of the most unequal societies in the world, leading to an increase in anti-government sentiment. 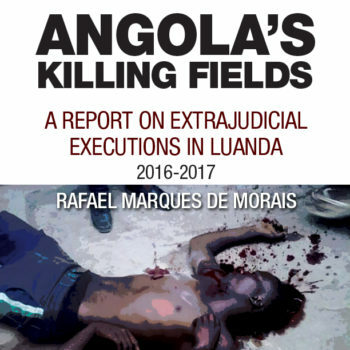 “It is (President) José Eduardo dos Santos, who ordered that the youths be imprisoned and tried, who will be on trial,” said Angolan journalist and rights activist Rafael Marques de Morais. Prominent rights activist Jose Marcos Mavungo was found guilty in September of an “attack on the sovereignty of the state” as prosecutors accused him of encouraging his restive oil-producing home region of Cabinda to fight for independence. One of the activists charged on Monday did not appear in court. Officials there did not give an explanation.